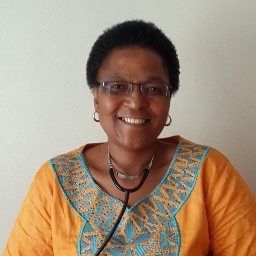 Dr Anela Pakade is a General Practitioner based in Gugulethu, Cape Town. Dr Pakade is well experienced and has a special interest in HIV and Aids. Dr Pakade is an excellent Dr, she keeps her patients best interest at heart, thank you for your great service. Dr Pakade is a very good Doctor, I would recommend her to anybody. she never disappoints. Best doctor ever. Very kind and humble. She builds excellent relationships with patients. She will go out of her way to ensure that her patients are well. She plays a role of a mother, sister and role model to many. We thank God for giving us this beautiful soul. She is well organised and makes sure that you are assisted, It was good to be treated with professionalism and care. I would recommend the doctor to my friends and family. Made an online booking and was given contacts to call directly. It's rare that doctors respond to messages immediately, I was satisfied with Dr Pakade's email response. The services received from the reception lady was beyond excellent. I liaised with her over the phone and she was polite and her patience with my odd request was super awesome. I received great serviced and I surely believe my son (the patient) received excellent services. I'll definitely make use of Dr Pakade and Team. Thank you!